Electronic Arts has long been enjoying the fruits of its Madden series, which has become a license to print money. The series had its origins on computers in the late ’80s, but it was on the Genesis that it finally went on to become a monster franchise. What many people don’t know is that the same company responsible for creating Madden on the Genesis also launched its premier rival, the Joe Montana Footballseries. Park Place Productions was making both games almost simultaneously, due to some last minute maneuvering by both Sega and Electronic Arts. Without knowing it, Park Place set in motion one of the biggest software rivalries in gaming, one that would continue between the two companies until Electronic Arts snapped up the exclusive NFL license in 2005. 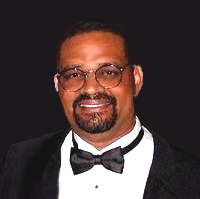 The man at the helm of the group that created both versions was Michael Knox. As founder of Park Place, he saw the company blossom into one of the premier independent software houses in the world, and he had an integral part in bringing one of America’s most beloved sports into the digital realm in a way no one had seen before on a home console. Most recently, Knox founded Voice2Page, an Internet audio company that currently boasts more than half a million subscribers. Sega-16 recently chatted with Knox over the phone, and for almost forty minutes he shared his tales of bringing football to the Genesis, how he almost lost the contract before even starting, and how a simple error in judgment cost him millions. It’s a fascinating tale of the behind-the-scenes movements that went on during the creation of both Madden and Joe Montana Football, and we have it all here for you! Sega-16: How was Park Place Productions initially approached to make Joe Montana Football? While that went on…it was funny, because Sega still needed the game. As a matter of fact, Sega had communicated to a lot of companies that said that if it couldn’t get Joe Montana, if it couldn’t get him in the game, then it wasn’t going to release the Genesis that year. It would have really changed the world for Sega if it hadn’t released that system when it did, because it was competing with Nintendo. So Sega didn’t have its game for the Genesis, so it approached Electronic Arts and said “we want you, and if we don’t get you, then we’re not going to release the Sega Genesis platform.” So what happened was, Electronic Arts turned around and asked us – and a lot of people don’t know this – but Electronic Arts asked Park Place Productions to do the Joe Montana game for Sega. So we ended up doing the Joe Montana game in eight weeks, before Christmas, by doing it as a derivative of the original John Madden Football, and you know what? At the end of eight weeks, the Sega game, the Joe Montana Football game, not John Madden, was so good, that we decided we couldn’t release it that good because it would hurt the sales of John Madden Football. So we took the game, and we scaled it back before we gave it to Sega. Sega-16: That’s really interesting. It seems odd that the creators of John Madden Football would be called on to make a competitor’s game, but it makes sense, as an American console without a football game won’t last very long. Sega-16: Then-SOA president Michael Katz knew how important sports were for a new console, which is why he worked so hard to lock up as many big-name celebrity endorsements as possible. I don’t think there was a major sport outside of soccer for which Sega didn’t sign someone up as a spokesman. Michael Knox: Well, when we did that game, we didn’t do it directly for Sega. We did it for Electronic Arts, who was competing directly with Sega with John Madden Football. 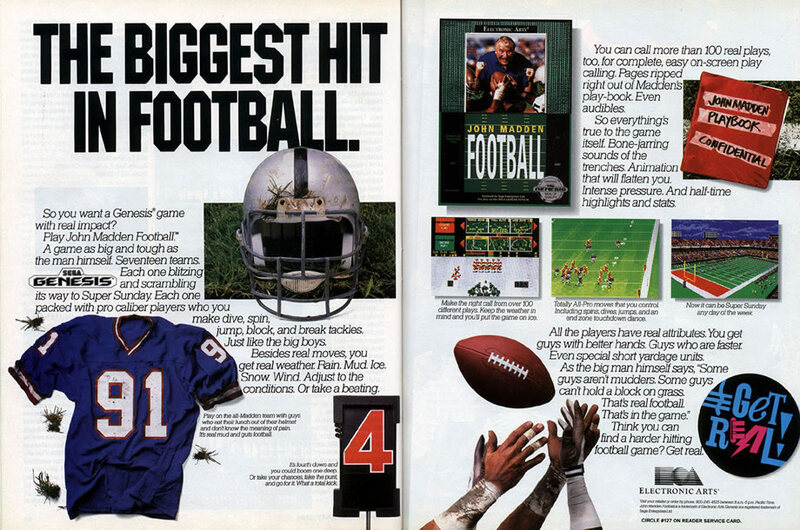 Sega-16: The engine used for Montana was a modified Madden one. Was it hard to adapt it to Sega’s specifications? So we didn’t have any input, even though we went on to do other games for Sega, while we were doing Montana, we didn’t talk to them. Sega-16: Electronic Arts handled all aspects of development? Michael Knox: Yeah, the design and everything. All the features that were taken out or added were mandated by Electronic Arts. EA got paid by Sega, and we got paid by EA. 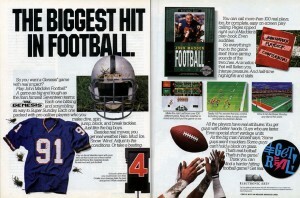 Sega-16: Electronic Arts apparently had as much riding on the success of Joe Montana Football as Sega did. Michael Knox: Now normally, I would not tell this story, ok? The reason why I even tell it is because it’s been so many years. It’s been over what, ten, eleven years? It’s been a lot of years since I’ve even thought about that story, but it was pretty amazing, because it would have affected us. If we hadn’t done the Joe Montana game, there wouldn’t have been a John Madden Football on Sega Genesis. That’s the funny part. If we hadn’t of finished the game for Sega – Sega held a stranglehold on their market by saying that it would pull the Genesis platform that year (1990) if it didn’t get the game. Electronic Arts had, I think eleven games on the Genesis that they would have had to cancel, and they would have gone out of business because they would have lost all their investment money for that year on all the Sega products that they had dedicated the company to. They had to deliver a game to Sega so it would open up the market again and continue forward. It really was a case where us finishing the game really did save the 16-bit industry, and if we hadn’t of done that, Nintendo would have taken the market by storm. You see what I’m saying? Nintendo would have owned that market, and the Sega Genesis probably wouldn’t have gotten the attention, and they would have been like, behind the eight ball on the whole 16-bit market if they hadn’t of had that game. They really had to have that game. Sega-16: Trip Hawkins was obviously taking a major risk on you guys, since no other major publishers were jumping on the Genesis bandwagon at the time. Michael Knox: Oh yes, a big risk… a gigantic risk. He had ramped up his company to do all these Sega Genesis products, and Trip Hawkins took a risk, because if that platform hadn’t of been released, it probably would have sunk EA. So, he took a big risk. I’m telling you, there is no kidding here. As a matter of fact, he took a big risk on me. He took a big risk on me and my company. I’ll never forget the day when I sat down with him, and we had finished up the simulator, and we were deciding if we were going to make a football game. At the time, we didn’t even know that it was going to be called John Madden. We thought it would be called Park Place Football or whatever, and we were going to do it under EASN (Electronic Arts Sports Network). So, when we first started that game, and I’ll never forget what Trip said to me. He pulled me aside, and he pulled my partner aside, Troy, and he told us how much he loved football, how much he wants to get involved with football, and all the years experience he has studying the game, etc. Football was his favorite game, and he asked me a question. He pulled out an envelope, sets it on the table and asks me “Mike, do you know what’s in this envelope? I said no, and he replies “a very large check. I think I’m going to give it to you, but I need to ask you one question first.” I’ll never forget this as long as I live. He says “Mike, I told you how I feel about football. If I give you this check, which way are you going to do this game: my way or your way?” I answered without hesitation. I said “Trip, we’re going to do this game my way…” and the room got quiet. You know what he did? He handed me the check and said “Mike, if you would’ve said to me that you were going to do this game my way, the way I wanted it, I wouldn’t be giving you this check, and we wouldn’t be doing business.” He went on. “That was what you call a litmus test.” I’ll never forget that as long as I live. It took me back to something my mom talked about when I was a kid. She’d say “Mike, in business always tell the truth, never lie.” If I would have just said that what Trip was doing was great and that we’d do it his way, we wouldn’t have been involved with that game at all. It probably would have been a totally different game that got delivered. Sega-16: Was Trip Hawkins involved in the development of Joe Montana? Michael Knox: I can’t confirm or deny that, but I will say this: he may deny it today, but for sure he was involved in the negotiations and saving the industry by doing the Joe Montana game. On whether he was involved in the development of it or not, I don’t think so. Sega-16: He told us that he even diagramed some of the plays. Michael Knox: Ah, that wouldn’t surprise me if he did. I mean, Trip loves football. I’m sure he did his part… I’m sure of it. If I remember right, I think there’s one special play that he designed himself, personally. Now, it’s been a few years, but one thing I will tell you about Trip is that he loves football. Also, he’s a visionary. He really is a visionary. Trip is a major visionary when it comes to football. And a lot of people may deny this, but in a way, you can kind of call Trip Hawkins the father of John Madden Football. He took the risk to make that game happen, ok? He was wise enough to know and to to bring in the right people for the job. 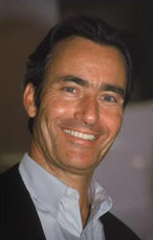 That’s Trip Hawkins. Sega-16: How strict was Hawkins when it came to making the two games as different as possible? Michael Knox: Actually, when we first started they let us run with the ball and just create a great and awesome game. We basically took Madden and changed the graphics, but we didn’t really change the engine. We added in some extra features and made it really good. In fact, it was so good that I thought it was actually better than Madden. They said “no, no, it was too good; we can’t do this. You have to scale it back. We have to give them a good game but not a game that’s better than John Madden Football.” So we actually took about a week, a week and a half to pull stuff out. For example, you’ll notice that we had three play play calling windows in Madden, and we actually took one out for Montana. We actually had four at one time in the latter game. We also had more plays for Joe’s game than for John’s, and we had to scale those back too. You’ll also notice that Joe’s game didn’t have the scrolling field like the other game did. Sega-16: So you had to make Montana’s game more arcade-like than EA’s. Michael Knox: Exactly. John Madden feels more real, like you’re on a real football field with real players. We had to scale it (Montana) back, but if you take a look at the graphics, like the football players running on the field, you’ll notice that they’re essentially the same guys. They’re just on a different field, but they’re virtually identical to the guys in Madden. Sega-16: How big a role did Joe Montana play in the development? Sega-16: So he had no input at all? Michael Knox: I can’t say that, because he may have on the marketing side, but when it came down to the physical game, to the best of my knowledge I don’t know if he ever even saw the game before it was released. Sega-16: The Winter 1990/1991 issue of Sega Visions magazine says he lent his professional expertise and supervised the play design. That was all hype then? Michael Knox: Of the marketing, I don’t doubt it. As for his expertise, he may have lent it to the original version that scrolled horizontally, but not the one that was vertical that we did, no. He never came to our office, and believe me, we had Muhammad Ali come down; we had Lennox Lewis come down; we had the Dallas Racing Team come down – we had all sorts of famous sports celebrities come to our company, but Joe Montana never walked in our door. We never got any feedback from him, you see what I’m saying? Never, and I would know; I was the CEO of Park Place at the time. So, he may have been very involved in the first game but not the one we did. Trip was involved in it. In fact, he was almost more involved in the Joe Montana game than he was in the John Madden Football game. Sega-16: I was about to bring that up, so let’s switch over to John Madden Football. The franchise was already a hit on PCs, and Trip Hawkins was supposedly pretty high on the Genesis. How did the Genesis port come about? Michael Knox: When we originally created the John Madden Football game, it was a simulator; it was not a game, and what we did was plug in all the information we could find about a team. We’d take two teams, and we’d plug in all the information about them: where they played (what stadium), what the wind speed was, what the temperature was, whether they were playing on grass or astro turf, whether it was a home game or an away game, injury reports about the players, their strengths and their weaknesses – I mean, we just got every bit of information we could about a team. You know what we’d do? We’d play about twenty million games in one night. The next day, we’d wake up in the morning and look at it and say, for example, that San Francisco was going to beat Denver by a spread of four. We had information so accurate that it was kind of scary, and we could see who was going to win by running the simulation. That’s how the game really started. So once we got it going, one day one of the guys said “that’s enough of that. Let’s put up the “Xs” and “Os” and watch these teams play each other. So we slowed it way down so we could see these teams actually run the plays on the field, and the what happened was that one day one guy says “hey, I’ll be the “Xs” and you be the “Os,” and I’ll chase you, and I’ll try to catch you,” you know, and so each team was simulated. What happened then was, I was living in an upscale community, the same where John Madden lived, an we said “let’s go over there, and let’s try to meet with John or John’s friends and see what he thinks of the simulator.” So, we’re sitting up there at John’s – John Madden’s real estate office – and John pulls up in this big Mercedes Benz and says “hey, what are you kids doing up here at the office on a Saturday?” and my friend goes “we’re just talking about video games.” Then John says something real funny. He goes just like this – “I’m one of the winningest coaches in football history, and you kids think I’m the ACE Hardware man.” And me, being that I was young and dumb, said “you are the ACE Hardware man!” And John Madden got really, really mad. As a matter of fact, I thought he was going to throw me out of his office. So I’m thinking of what I can say so he doesn’t throw me out of his office, and the idea just came to me. I said “John, what if we put you in the football game? Then all the kids would remember you as the football guy.” He said “that’s a good idea,” and I agreed, and that’s how John Madden Football got started. It’s pretty wild, actually. So then, we had a company called Park Place Productions. It was a small company, and we had those guys -we didn’t have many people up there – and those are the guys that worked on the game. We busted our butts, and we started that game and did the first John Madden Football game in about six months. This was working around the clock, and we also got my father involved, because he’s a physicist. You know when the game has a ball thrown down the field, you want it to feel like it’s really being thrown. We figured out the projection of how the ball should feel when it’s thrown into the air to make it feel real, and we did all these extra things, like the scrolling screen, and we added all these things to make the game feel really, really real. We went out and actually filmed real football players, digitizing them and converting them to images, and we created this game that we thought was great, and our publisher on that game was well, Electronic Arts. They were really happy with it; they were like “wow, this is really good!” and everybody was really happy, so we made up about forty thousand units of that game and decided to see if they’d sell in the marketplace. So we made up the forty thousand games, put them out there in the distribution channels, and we all prayed “please God, let this game sell!” Well, they sold all forty thousand games in about an afternoon. Then, we made eighty thousand games, and we sold them all right away in a single day. So we just kept making the games as fast as we could, and as fast as we made them, people would buy them. Sega-16: Whenever the Genesis version of the original John Madden Football is discussed, I hear Scott Orr’s name mentioned a lot. What was the extent of his involvement? Michael Knox: No, you’re hearing something that’s incorrect. Scott Orr was not involved in the original John Madden Football… he was not. Scott came in on version two, near the end of version two and for version three, but he was not involved in the actual physical development of the original John Madden Football game. Now, I’ll tell you what happened. At the time, Scott was running a company called Gamestar. Scott Orr had done an introduction with us and Trip Hawkins, but he was not involved in the design of that game. He wasn’t working for Electronic Arts, and he wasn’t working for Park Place when we did that game… the first game. So the bottom line is, truth be known, I will tell you the truth – Scott came in after the first game had completely shipped and we were halfway through the second game. That’s just the truth, and I have to be real with you on that. Trip was involved and would know a lot more about how Scott was involved, but you have to understand that Trip Hawkins was the one who put his neck out on the line for the Sega football game. He really did. Scott was not in the picture. The only thing Scott had done was do an introduction with Trip and our company. I want to back up and say something about Scott so that you know this too. We had worked with him on another football game previous to John Madden, which was called ABC Monday Night Football and was designed for another company called Data East. Scott was involved in that game, and he did the connection with us and the people at Data East, but that was before Madden. Now, Scott obviously wanted to introduce us to Trip Hawkins, because we wanted to make the move from PCs to a video game platform, but he was not involved in the first game, and I can say that hands-down without hesitation. Scott’s a great guy, and he’s a visionary in sports, but he was not involved in the first Madden game. Sega-16: Initially, every sports title on a Sega console featured generic teams with unknown players. The Madden series shook this up considerably (along with Lakers vs. Celtics), and set a standard for incorporating simulation elements into consoles sports games. Why did it take so long for this to happen? Sega-16: Did you ever think the Madden franchise would explode into the sales monster it is now? Michael Knox: No. Can I be realistic with you? We did the game in 1990. We did the 1991 version, and we did the 1992 version, which was the second sequel. We had never seen a game do a third sequel and keep going. They’ve always failed. Always. In 1993, Electronic Arts came to us and said “we have a big check for you, and we want to buy out your interest in this game.” At that point, I thought that no game had ever done a fourth sequel and sold. We sold our rights to it in 1993. In 2003, I talked to Electronic Arts. They were still using our software, and they told us they were working on the 2006 edition at the time. I thought to myself that they were working on the 2006 edition when I had sold them my rights back in 1993. That’s ten years! That’s ten years of royalties that I cut both myself and my company off from. So, if I had thought that, and I’ll be honest with you, I would have never have sold my rights, because I probably lost somewhere around $50-$60 million in royalties for selling out. So I never thought that in a million years. Another interesting fact is that we also did EA’s hockey game, NHL Hockey. A lot of people think football is my favorite sport, but it’s not. Hockey is. We went to EA and told them that we wanted to do a hockey game because hockey sells, and the first thing they told us was that hockey doesn’t sell. I asked them if they would give us a contract if I could prove otherwise, and they agreed. So we went back and looked at a game called Blades of Steel (NES); we looked at its numbers. We also looked at a game called Hat Trick (Atari 7800), and then we came back with those numbers and told EA “look, hockey sells!” So EA gave us the contract; they kept their word. Sega-16 would like to thank Mr. Knox for his candor and cooperation.